Welcome to Columbus Ohio's Premiere Event Photographer serving Ohio and the surrounding states. Central Ohio Photography is dedicated to photographing events such as weddings, graduation portraits, baby, children, family portraits, sports and little league events. 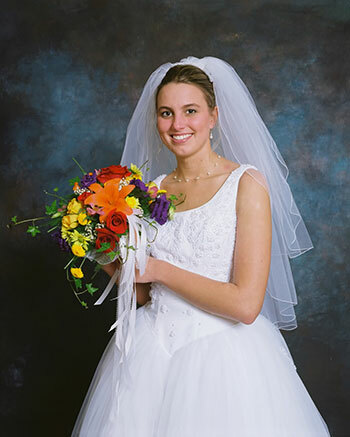 Located in Pickerington Ohio, we have specialized capturing the Memories of Life for over 20 years. As a premiere wedding photographer in Columbus, if you are looking for wedding photography you’ve come to the right place. We specialize in a diverse range of styles from documentary to photojournalism, traditional to modern. Our advice for every bride and groom is to schedule an engagement session at least a month in advance. The purpose of this meeting is to discuss the couple’s wishes in an effort to create a comfortable environment for the bride and groom on their big day. This allows us to insure that the last thing they and their families worry about are photographs of perhaps the best day of their lives together. When it comes to weddings what a better way to remember walking down the aisle than with beautiful photographs of your wedding ceremony. Central Ohio Photography will take pictures of everything from you walking down the aisle to the exchange vows to candid shots of your wedding guests, we cover it all. Central Ohio Photography uses non-obtrusive photography styles to capture beautiful shots of the bride and groom without getting in the way of the ceremony. Wedding photography packages starting at $899. Contact me today. Your senior year is here! Now it’s time to capture this special moment for a lifetime. 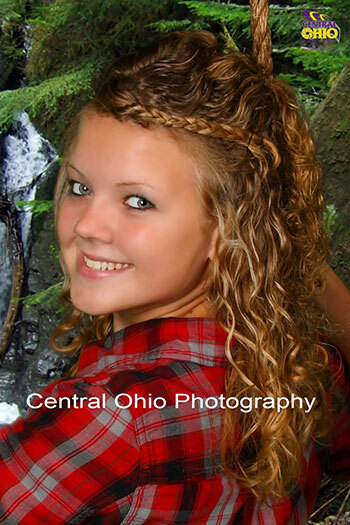 Those who choose Central Ohio Photography for their senior portraits, have the luxury of selecting indoor as well as outdoor photos. We will work with you to ensure you look your very best and the portraits being created will be treasured memories for a lifetime. There are many reasons to choose Central Ohio Photography. We have no pose limits, no outfit limits, and no hidden costs. We will make your portraits as special and unique as you are. If you're tired of the same old stuff your older brother or sister had when they went to high school then you have found the right photographer. 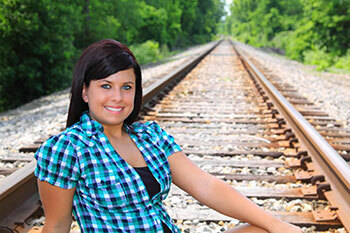 We provide professional, modern, trendy, senior portrait photography. Our rates are very competitive and we offer outstanding value for the money. We like to make senior portraits creative and affordable. We want your personality and uniqueness to shine. Bring anything that defines you to our studio: unique clothing, hobbies, family, friends, pets, cars... there really is no limit! We will truly work as hard as possible to accommodate everything you bring to our studio, because after all, this is your Senior Portrait session. We make Senior Portraits easy with online proofs, state-of-the-art retouching, over 800 backgrounds, and outdoor photography. 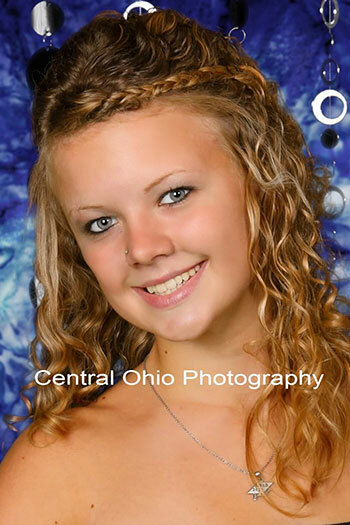 With a wide selection of props, professional advice on clothing and poses, and a very experienced staff, Central Ohio Photography is the best place for your final set of high school portraits. We offer a complete range of photography and photographic services for hire. Are you looking for photographers in Ohio, Indiana, Michigan or Pennsylvania that shoot corporate events, meetings, conventions and trade shows? We offer complete photo coverage for all of your events. This a list of special events that we photograph: Engagements, Proms, Dances, Graduation, Golf Outings, Beauty Pageants, Class Reunions, Little League, Action Sports Photographer, Cheerleading/Dance/Gymnastics Competitions. We approach family portrait photography the same way as we handle wedding photography. We focus on natural settings and poses to help our clients relax in front of the camera and have fun. We have a number of beautiful locations in the Columbus Ohio areas where we can take your family for a portrait sitting. A typical family portrait session starts with shooting the large group first. It is important to get those shots while everyone is still fresh. If there are any small children we want to make sure that we get a good family shot before they start to wear out. As a Columbus sports photographer I will work diligently with your league administration and team coaches to make sure all deadlines and special needs are met. All photo packages come bundled by division and team, and team photos are provided at no extra charge.